Malignant tumors diagnosed during the neonatal period are rarely encountered but extremely difficult to manage. Because factors such as drug absorption, metabolism, distribution, and elimination are affected by age and physiologic maturity, complications associated with the immature physiology of the neonate are common. Age-dependent maturation of the renal, hepatic, hematopoietic, and neurodevelopmental systems make the neonate particularly vulnerable to the deleterious effects of aggressive multimodal therapy involving extirpative surgery, chemotherapy, and radiotherapy. 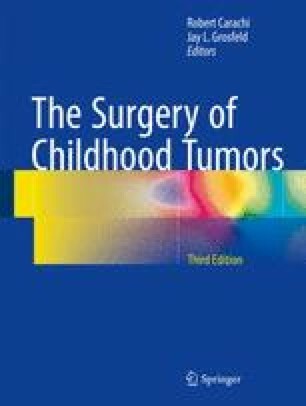 In addition, many neonatal malignancies differ from similar tumors in older children with respect to their biological behavior. These combined factors make tumors in the neonatal period a unique clinical domain and a domain in which most clinicians have little experience. The chapter provides an overview of the clinical presentation, diagnosis, and management of the most frequently seen, though rare, perinatal neoplasms.